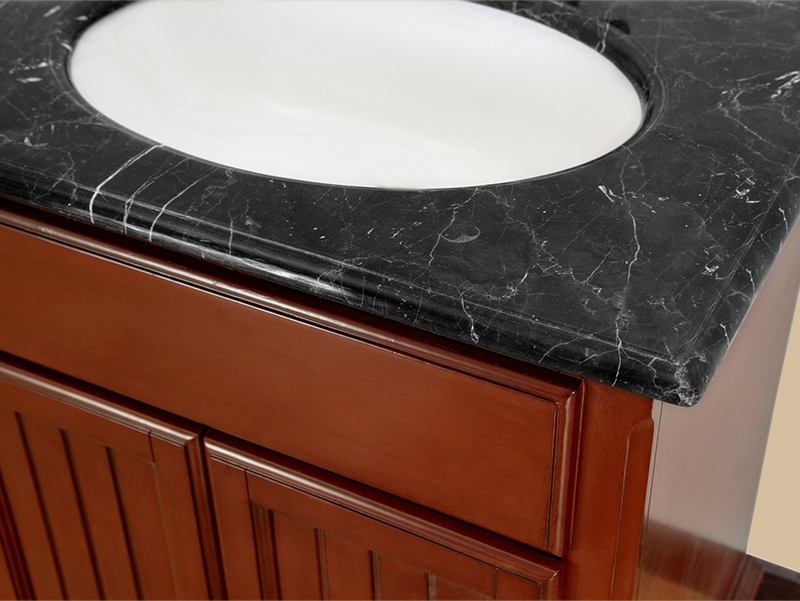 With its exquisite Antique Red finish and Dark Emperador Marble top, the 30" Glenwood Single Bath Vanity will bombard your bathroom with so much style, you'll be in awe every time you look upon your new vanity. Its cabinet is constructed from solid wood and gives you a double-door cabinet that's accented with two Antique Brass door knobs for easy access. 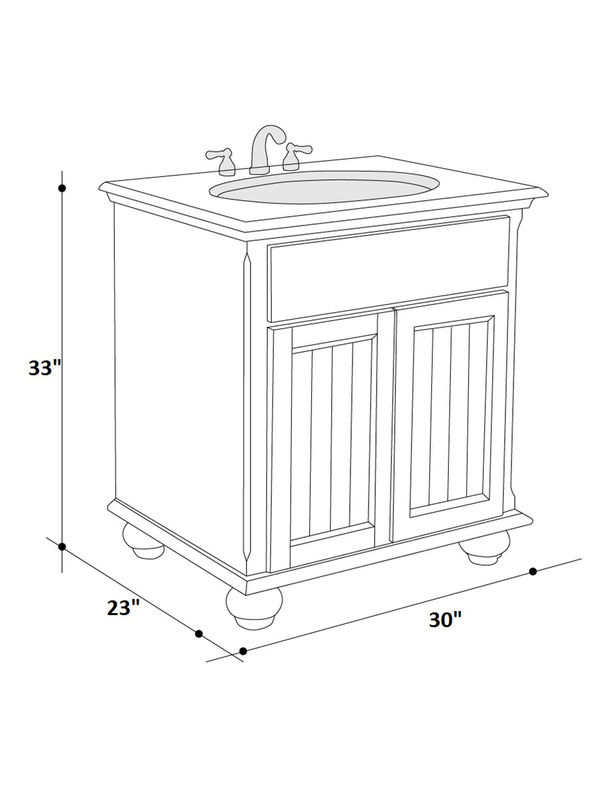 The top comes with a white ceramic undermount sink and pre-drilled with three faucet holes. You'll love this beautiful vanity that puts a subtle traditional look in your bathroom.